If you would prefer to mail your donation, you can download the event form here. 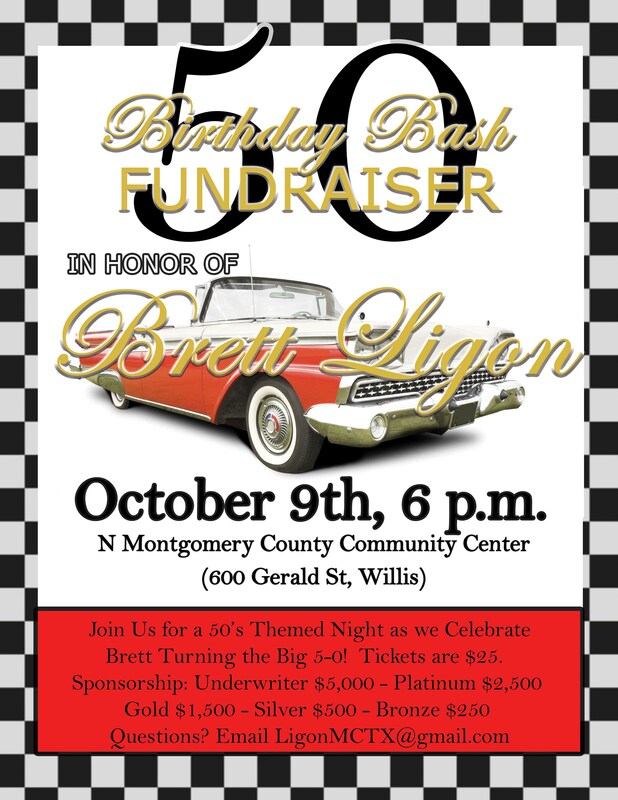 Please send a check made payable to Brett Ligon Campaign to the address below (No Corporate Checks Please). Montgomery, Texas 77356**Note: For accounting purposes, please include your name, occupation and employer on the check. State law requires candidates to use best efforts to collect and report the full name and address, principal occupation or job title, and full name of employer of individuals whose contributions equal or exceed $50 in a reporting period.Contributions to the Brett Ligon are not tax deductible for federal income tax purposes.